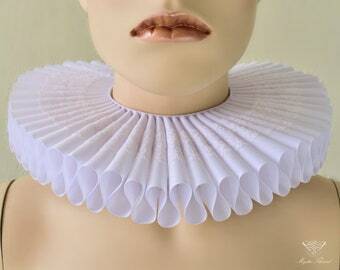 White elizabethan ruffle collar decorated with white lace and two rows of white preciosa beads. 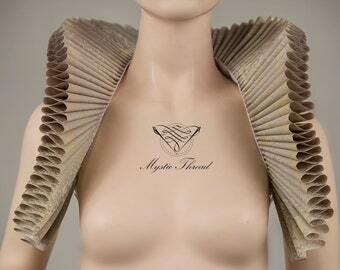 The ruffle is 7.5cm wide and its length (around the neck) is about 55cm. 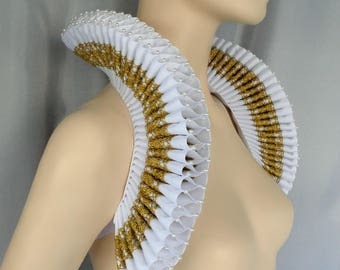 It fastens with white satin ribbon on the back. 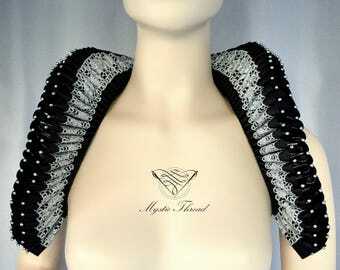 ♥"Absolutely amazing,very good work and very quick delivery ! 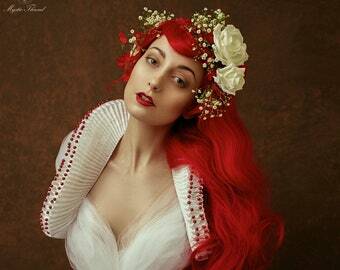 <3"
♥"Exactly as pictured will go good with my festival attire. 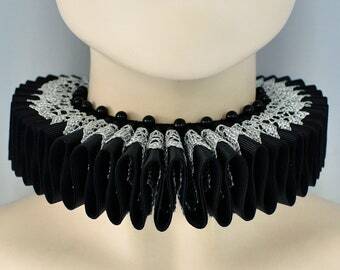 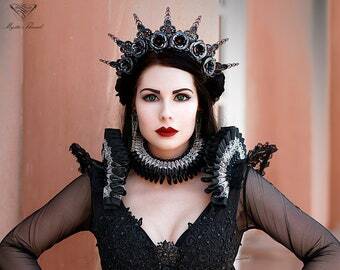 :)"
♥"really nice & pretty collar :)"
Beautiful work high-level detailing will definetly buy more!